Here are two more Leatherman’s Loop t-shirt designs. 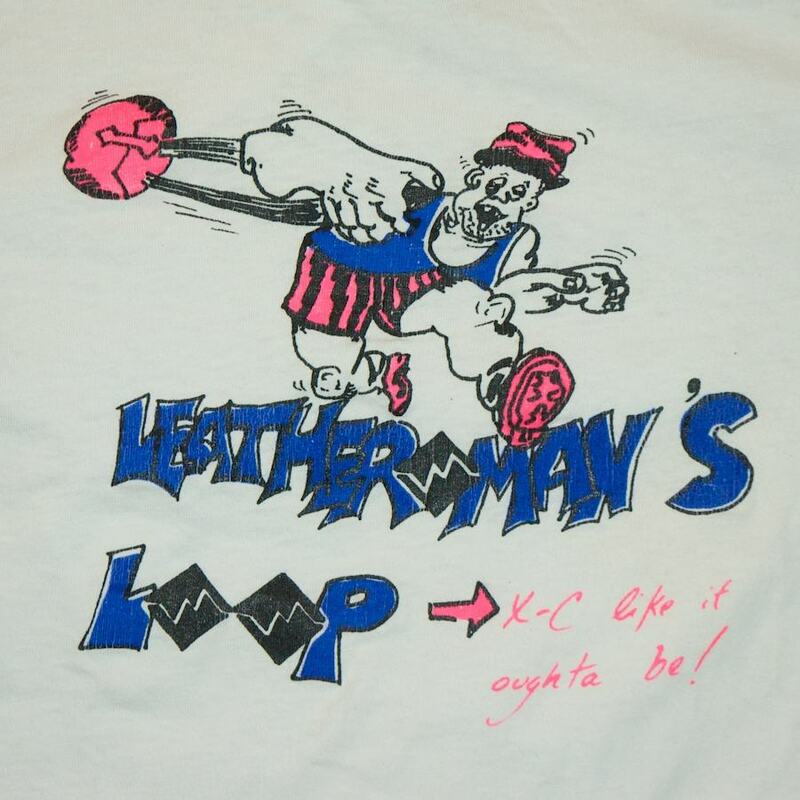 The first one is from the first Loop in 1987 and features the text “X-C like it oughta be.” The art was drawn by Loop co-founder Dave Cope and is still used on the race bibs today. 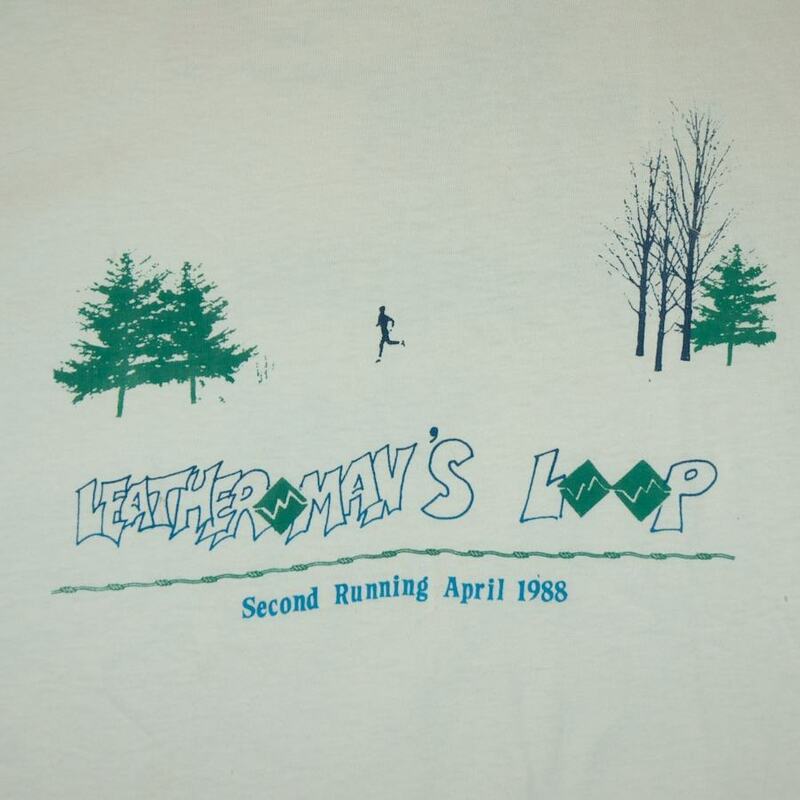 The second design is from the second Loop in 1988. The design is based on a photograph of a runner in the first Loop. The second design is rarely seen in the wild but you occasionally see runners and volunteers at the Loop with the first t-shirt on. « One Month To Go Until The 2010 Loop!